Five free training sessions on the scrap metal component of LeadsOnline, an online investigative tool, will be offered this week to law enforcement in central Mississippi and the Mississippi Delta. A trainer from LeadsOnline will conduct the sessions, organized by the Mississippi Secretary of State’s Office and Mississippi Delta Agricultural Theft Task Force, in Philadelphia, Mississippi, on Tuesday, September 4, 2018; Moorhead and Stoneville, Mississippi, on Wednesday, September 5, 2018; and Cleveland and Clarksdale, Mississippi, on Thursday, September 6, 2018. Deputies and officers from county sheriff’s offices and police departments in areas surrounding training locations are invited to attend. Initiated by the Secretary of State’s Office and Department of Agriculture and Commerce in April 2016, the Task Force links law enforcement, scrap metal yards, farmers, and other interested parties in order to detect stolen items early, develop leads, and successfully prosecute agricultural theft. Task Force partners include agencies and officials from four states: Mississippi, Arkansas, Louisiana, and Tennessee. “I appreciate the efforts of Secretary Hosemann in making this training available to our law enforcement officials. LeadsOnline is a valuable tool that will assist the investigators with our agency’s Mississippi Agricultural and Livestock Theft Bureau when solving certain agricultural-related crimes,” Commissioner of Agriculture and Commerce Andy Gipson said. More than 30,000 businesses nationwide, including scrap metal dealers, report transactions electronically via LeadsOnline. Law enforcement are then able to access transaction information to compare with reports of theft to speed up the process of catching perpetrators and recovering stolen property. The investigative tools provided by LeadsOnline for working metal theft cases are available at no cost to all law enforcement agencies in the State. For more information about the Task Force, contact the Regulation and Enforcement Division of the Mississippi Secretary of State’s Office at (601) 359-9055 or ag_taskforce@sos.ms.gov. 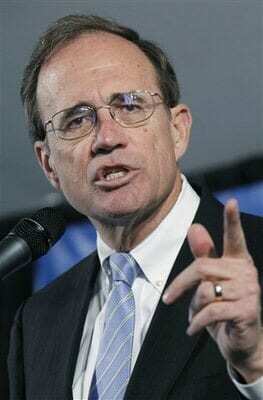 Secretary of State Delbert Hosemann Press Release.